I just got a really interesting letter from a librarian in New York who is planning to start a Cozy Mystery book group at her library. (What fun!) She asks for suggestions, and I thought our blog area would be a great place to come up with some possible ideas. … I absolutely love the Cozy Mystery genre, so much in fact, I am going to be running a Cozy Mystery Book Group at my Library. I had a question for you, as a person who enjoys the genre, and has most likely read more of them, than I. If you were going to be attending a Book Group on the genre, what type of things would you want to happen? I have the basic, talk about the genre/pick a book,/an author/ have a person lead a discussion – but I was wondering — what else could I add to make it more than just a regular book club? Christine, it might be fun to compare the classic Cozies to the new types of Cozies out there. Maybe read a classic by Agatha Christie or Ngaio Marsh one month, and then a Cozy by someone who is releasing books now. Also, since there are so many Cozies now that feature recipes (even in non-culinary series!) maybe it would be fun for people to try out some cookie recipes and bring them to the club. 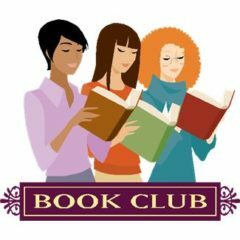 Keeping in mind that this is a book club which will meet in person, not an online book group >>> do you have any ideas that would make this “more than just a regular book club?” If so, please post a comment. Thank you! Invite a local cozy author to talk about writing a cozy or any aspect of his/her writing process! I think it would be great fun for the group to read A Manhattan Murder Mystery (An Irina Curtius Mystery). There is so much of Manhattan in the story. I think they would enjoy both the story as well as the setting. Also the Kay Driscoll mysteries have been discussed in library reading groups. I like the older/newer author idea. A “game night” might be fun. Come dressed as a series character, do crosswords based on multiple series, modified board games (Clue), Password, or Jeopardy. And picking a culinary series, definitely (dry) food from that. Can’t wait to hear more ideas. This sounds like a very fun book group. I have thought about doing this, too. I am interested in whether the library (materials sharing) system in which Christine works as a librarian will have enough copies of the chosen cozy mystery for the group members to borrow, or is she planning to have group members purchase their own copies of the book? Our library has a book club and gets the copies from other libraries for the participants. That might be an answer to your question about where to get copies. I simply love the idea of crossword mystery puzzles- where can these be found ???????? Wow! Thank you for posting! I love all of the ideas — I am hoping that the system will have enough copies. Currently I only have a handful of folks in my group. I am going to try to have the books provided, so that members won’t have to purchase their own books. First meeting is a discussion meeting on the genre itself – we’ll pick the first book at that meeting. I think it’s a great idea! I’ve always found the locations the authors choose to be interesting. Some use real towns I’ve been to/live near and others make up fantasy towns. That sets me to wondering what towns they’ve based their idea on! Choosing a book from your area and trying to decipher what the town was based on would be an interesting discussion! There are so many cons against using a real town – you have to pretty much get every street correct….but then, there are maps, right? Readers in that town, even that state, would likely be fans – that’s a point to consider. A neat thing about using a made-up town is that you get to put your own imaginative stores and houses and people wherever you want, which gives a writer a lot of liberty. I love to read mysteries set in places that interest me. I’d like to offer my Aggie Mundeen Mystery #4 for your club. River City Dead, a mystery with history, humor, and romance, captures the flavor of the San Antonio River Walk in time for the city’s Tricentennial. How about wrapping up different cozy mystery and have each member read one and review it for the group. Or during the meeting do a craft and/or recipes from the different Cozy Mysteries. One of my favs is the Miss Sutton series – and the history of its authors is interesting too. Also, can’t leave out Monica Ferris !! I wish my local librarian liked cozies. Suzy, several years ago I called my local library and asked about their mystery reading group, and was actually told it wasn’t a very good group! Victoria Thompson’s Gaslight series, describing New York at the end of the 19th Century will be an interesting one for New Yorkers. She always includes some historical background. Totally agree !!! Excellent series…. I like the idea of choosing books that have a theme and doing a small craft as you discuss the book. Of course, what comes to mind are the holidays; but you could choose almost anything. I also like the idea of doing something that would benefit the library when you read a book about librarians or book clubs. This sounds like a fun book group. I would want to look at the commonalities across the genre. And how different authors are using that and then adding more to the individual characters in each different series. I read by series. I go to my library and check out the whole series and binge read the lot! Sounds like a great idea and would love it if my library would do something like this! Good Luck! If reading a cozy with recipes, possibly ask members to prepare something from the book to serve as refreshments. I have found some to be very good. If the cozy has to do with crafts, knitting, etc, maybe members could make something from directions included in book to donate to homeless shelter, fire victims, abused children, etc. Several of the cozy mystery are about different crafts so maybe have someone come in and talk about the craft and make an item. One local author, whose mysteries were set in our town, gave us a walking tour to point out all the sites featured in her books. Of course, in her books, our town was given another name and all the places we toured had imaginary names in her books. What a great idea. If she wants to share the library address I am sure many cozy authors would send sway etc to giver them an idea of what books are out there. Our book group once agreed to read a culinary mystery – everyone chose a different book – and bring an appetizer or dessert recipe from the book. That was the best book club meeting ever! If your group likes culinary mysteries I’m sure you could do this with slightly different twists. Cookies recipes one time. Cupcakes another. Full out potluck another time. Or if you have crafters in the group you might try craft themed mysteries and do a project from the book as you discuss. Or perhaps if you read a mystery with a theme such as quilting, maybe you could have an expert quilter come and speak to the group. This sounds like so much fun, I may have to start a group myself! I had no idea there were so many recipes in books – Oh, I love the quilting idea. I love Diane Kelly! the Paw books are great, but I started with the Death, Taxes and…. series and I can hardly wait for her to write the next one. Another idea is for the group to read a book about the job/profession of each individual in the group. Then the member can talk about what the author got right, wrong or made up completely. This could be a way to get even the most quiet member to be an active participant, at least once. Susy, I think your idea is a great one for a discussion group. I really like the idea about the job, profession (or maybe even hobby) of each member in the group. I worked in my parents flower shop growing up and I had a really hard time getting through Annie Adams’ “The Final Arrangement” because the way she did things and terms she used were very different from our family business. I was snickering and fuming through the whole thing (which I actually really enjoyed doing!) I also learned a bit about Mormons, a faith I’m not too well acquainted with. So that’s another idea. Read books where the main character has a strong religious believe different from your own or is an atheist if you are not. How did you feel reading it? She could do themed reads. I.e., culinary cozies, state-by-state cozies, craft cozies. I am a librarian and do offer a cozy mystery book club, it is called “Chatty Crafters”. Each book is usually based on a craft, so during the book club, I will teach that craft and we do a project while discussing the book. I love it. Betty, your Cozy Mystery book club sounds like one I would love to join. You sound like a terrific librarian who goes above and beyond! Sounds like a club I would enjoy, Betty. You sound like a great librarian! In the Library Lovers Mystery Series by Jenn McKinlay, don’t they have a book club that does a craft sometimes? It might be fun for them to bring crafts to work on as they discuss their books, or possibly have an occasional demonstration of the craft in a given book. Yes…they are called the crafternooners and have a craft and food while they discuss their latest book! This series is excellent! ? I just finished Due or Die and it includes questions at the end for a book club discussion on Wuthering Heights, but they would make a good guide for writing your own. MC Beaton and Rhys Bowen are great. So is Louise Penny and Anne Perry. They are all my favorites, Denise. Couldn’t imagine reading without them. However, I would be hard put to choose between Anne and MC Beaton! I love all of the ideas, and kudos to the librarian for wanting to ‘jazz things up’ as it were. Makes things much more interesting, and makes it more likely the club will continue rather than just ‘same old, same old’, all the time. If they’re doing a dog themed mystery, perhaps they could arange a vist by a dog of the mentioned breed (Lea Benjamin features a bull terrier, for instance. Set in New York!) and their human could talk about the challenges / rewards of having that breed in the city. Ditto the ‘pet-sitter’ mysteries. I’m sure members of that profession would have some interesting stories to tell! As a further to the puzzle theme mentioned, there are several different puzzle series out there – crosswords and sudoku come to mind – so perhaps photocopied handouts of sample puzzles to go along with the books? You could even have a competition to see who can complete it the fastest. Winner gets to pick the next book. Cleo Coyle’s coffee-shop themed books would seem an obvious one for refreshments – maybe even hold that night’s meeting actually in a coffee shop rather than at the library? If your current pick is set in another country, whatever the current equivalent is to a slide-show of the countryside, the week before you need to read the book. Would definitely help people to visualise things as they read. Maybe even offer a list of relevant travel books from the library to go along with it? What a great idea! I think I would be among the first library patrons to sign up for such a book club. My only problem is that I have so many favorite cozy writers I would have a hard time choosing which one to promote at first. Right now I am reading Rhyes Bowen’s “Crowned and Dangerous.” I would love to be able to go to in costume for that time period , except vintage clothes are expensive!!! I enjoy alternating between a cozy mystery and when I ‘m finished an historical mystery. I have been doing this for years and I love a good mystery! Luz, that’s a great idea, especially for a book club. For myself, I’ll read a few cozies, but then I want to read my other favorite genres again. I belonged to a mystery discussion group at a local library, and we did ours a little differently from most groups I’ve heard about. Instead of everyone reading the same book, we’d have a “type” — for example, books that are set in the Southwest, or that feature a Native American, or feature a protag with a handicap, etc. Each person would discuss the book he/she had read. We were introduced to so many different writers/topics that way. The librarian moderator would set the agenda, with input from the group, and hand out a schedule for 3 months at a time. It’s the best group I’ve belonged to. Also for sports themed books perhaps someone could bring along some equipment to pass around during the discussion. Golf clubs, for instance – there are several golf themed series out there. An obvious touch, too, might be themed posters in the meeting room. I’ve never seen a library that didn’t have scads of posters somewhere! How do you pronounce Ngaio? I’ve always wondered how to pronounce it? From what I’ve been told, Nigh-(rhymes with “high”) -oh. I once read it was pronounced ” Ny O”. Does anyone else know? No cozy mystery list would be complete without M.C. Beaton. Her writing is superb. Also, there is a website called litlovers……it’s a book club resource website. Has lots of different info along with ideas for starting a book club and everything along with that. Lots of good info regarding questions to ask or points to ponder, etiquette and rules, etc. Jenn McKinlay in her library lovers mysteries does have an craft group called the crafternoon group. This takes place in the library and they bring food and have recipes in the book. In The last book — Better late than never — they finally let a guy into the group because he brought meatballs in marinara sauce and fresh baked bread. Wow sounds like so much fun!!!! Where in NY is this???? I’m in Brooklyn where I stopped using the nearest library to me because they relocated the paperbacks (ie. the cozy mystery books!) to the most impossible to reach bookshelf, where you have to climb over & around the patrons using the computers (and they’re usually young, male & angry… nuff said…) — and its basically impossible to get to that bookshelf — when I asked the staff WHY they relocated the books like that — they claimed it was based in user interest — and paperback mysteries had come in below foreign language dvds (which was the previous lowest interest category!) hence the relocation….. sigh…. No longer going to that branch! Going to farther from home (but more cozy friendly!) branch! Ask the Librarian if you can start a mystery book club – shouldn’t be too difficult if you each read an assigned author and give reports – It’s a fun way to meet people and make friends too, esp. online friends. Or, you could bring in a book you have. There are a couple of series with guideline questions at the end of the book, that would be an enormous help to a starting group. I believe one is the Appleseed Creek Mystery series by Amanda Flower. And, I think (but am not sure) the other is the Ashton Corners Book Club series by Erika Chase. Christine could look at the first book in these series at the library to see if those questions are there (or perhaps I have a faulty memory!). The Appleseed Creek series could certainly generate quite a lively discussion. I have suggested this series to book clubs in my community and they don’t even focus on ‘cozy mysteries’. Thank you MJ. I have been looking for cozies with guideline questions that I can suggest to my book clubs. Lady of ashes by Christine Trent just read it and it has discussion questions at the end of the book. was a good read set in the mid 1800’s. based on a female undertaker! before embalming! was interesting. I belong to an in person Book Club that meets once a month at a local restaurant. Our hostess (with the mostest) has questions from the book and 1 person alternates who brings prizes. Prizes range from gift cards to trinkets or books. The one thing I would like to change would be the picking of the next book to read. I also belong to several online book clubs and host monthly book clubs for authors. I always try to dig deeper into the questions. I would like to join a in person Book Club but it’ hard to find in Brooklyn, NY. Your club seems very interesting. Hi. I’m a little slow getting to this, but I wanted to tell you about a program I went to at the Madison, NJ library. It was called Bones and Scones. They had 4 cozy mystery authors (including me) and they served scones and tea and had a huge turnout. I think it was underwritten by Mystery Writers of America, so they might be a good resource if you’re looking for funding. I also love cozy mysteries and I am obsessed with cozy mysteries, it depends on the author.